The remarks follow a new initiative by the French government to check passports at border crossings between France and Italy. The French government has, thus, stopped at least 200 illegal migrants from leaving Italy and entering France. The move is highly uncommon in the European Union, in which the borders of European nations are expected to remain mostly open. Prime Minister Matteo Renzi stated that his nation was considering implementing a “Plan B” to solve the crisis, adding that such a plan would “hurt” Europe. 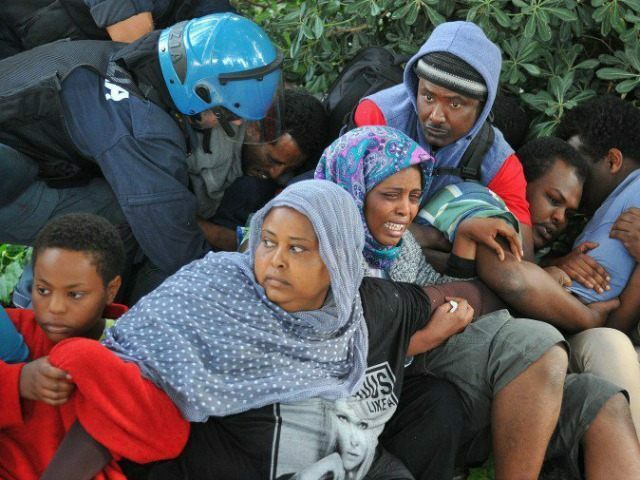 The remark has triggered much speculation, with the UK’s Independent suggesting that “one option would be for asylum seekers in Italy to receive three-month residence passes that would allow them to travel around most of the EU, enabling them to head towards northern Europe.” The EU requires that migrants all be processed in the country in which they arrive, but giving them all residence passes would conform to that requirement while allowing them to pass through the French barricades and any other borders they may encounter all the way to the UK. The Independent article notes that the influx of migrants has created a small economy for short-distance migrant smugglers, who have been accepting 70 euros a person to simply drive the migrants across the border into France. As they are accompanied by Italian nationals, they face little resistance from authorities.